It’s only fitting that kale aficionado Hannah Swegarden, PhD student in the Graduate Field of Horticulture, took top honors in the Almost 20th Anniversary Ithaca Farmers Market Rutabaga (a related Brassica) Curl December 17. Swegarden faced stiff competition from runner-up ‘God’ (left, aka Michael Glos, technician in the Plant Breeding and Genetics Section representing Kingbird Farm). More curling event images at Edna Brown Photography. Dressed in their academic regalia, Alice Beban France and her husband, Justin France, appeared relaxed at the reception following Cornell’s 14th January graduation recognition ceremony at Bartels Hall Dec. 17. That relaxation was well-deserved for a couple juggling education with parenthood – they have two daughters, ages 4 and 6. 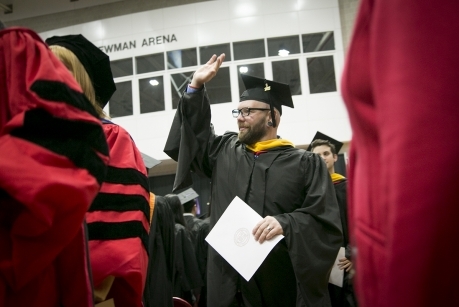 Fortuitously, Justin earned his master’s in horticulture at the same time Alice completed her doctorate in development sociology. “We prioritized family over school,” squeezing in coursework late at night and early in the morning, Justin said. It helped to live in graduate student housing at Hasbrouck Apartments, where there was a good support network and child care for families juggling school and children, Alice said. The family plans to move to New Zealand, Alice’s home country, where she will work as a lecturer and he will manage a vineyard. NYSAES staff, faculty, students, and NYSIPM Program and USDA-ARS employees sponsored 23 children from 12 families in the Geneva City School District as part of the Cornell University Elves Program. This holiday season will be even merrier — and warmer — for nearly two dozen Geneva school children thanks to Cornell’s New York State Agricultural Experiment Station (NYSAES). Members of the Station community sponsored 23 children from 12 families in the Geneva City School District as part of the Cornell University Elves Program. The Elves Program was founded in 1989 to benefit elementary school students who are in greatest need. 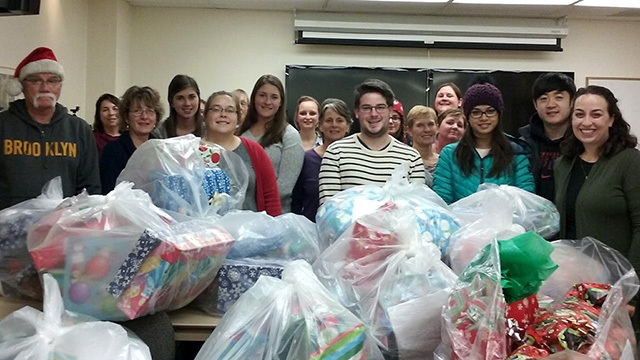 This is the 5th year members of NYSAES have taken part in the program by providing local children with a new outfit of clothes, pajamas, a winter hat, gloves, and a toy. The support comes from across the Geneva campus: staff, faculty, students, including those in the Student Association of the Geneva Experiment Station (SAGES), as well as members of the New York State Integrated Pest Management and those in the U.S. Department of Agriculture Agricultural Research Service based in Geneva all took part. This year the community also purchased new boots and winter coats for almost all of the children, said Beth Demmings, a postdoctoral associate and VitisGen project manager. “Each year I am blown away by the overwhelming generosity of this small campus to support families in the greater community of Geneva,” said Demmings, who co-coordinated this year’s event with Jessica Townley. Station members wrapped the gifts on Dec. 14 during a lunch hosted by the office of Susan Brown, the Goichman Family Director of the NYSAES and the Herman M. Cohn Professor of Agriculture and Life Sciences. All of the gifts will be delivered to West Street School this week. 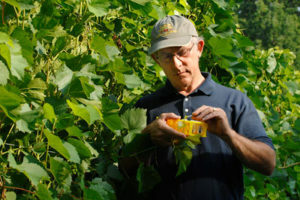 Growers and the market are all conditioned to accept certain popular varieties—Merlot, Chardonnay, Cabernet. [My grapes] may have qualities that could be similar to elite varieties, but these would be entirely new varieties. — Grape breeder Bruce Reisch, professor in the Horticulture Section of the School of Integrative Plant Science, in Can Science Save Our Favorite Wines? in Wine Enthusiast [2016-12-08]. A man who leads a life well-lived and well-liked is often recognized in his passing by those whom he has touched. We were able to gather a few words and images of Edwin Burnell Oyer, international professor emeritus in vegetable crops, who died on November 15, 2016, at the age of 89. Many people in horticulture and International Programs at Cornell and in institutions globally will always remember the kindness, expertise, and wise counsel they received from Ed during his professional life. 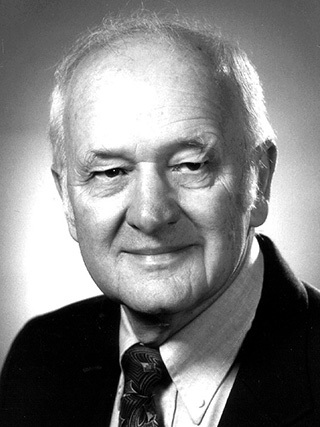 Edwin Oyer joined the Department of Vegetable Crops at Cornell in 1955 after receiving his B.S., M.S. and Ph.D. degrees from Purdue University. He was awarded a NATO Fellowship in Science in 1961 to conduct vegetable research at Le Phytotron in Gif-sur-Yvette, France. From there, he served on the faculty of the Department of Horticulture at Purdue from 1963 to 1966 before returning to Cornell to chair the Department of Vegetable Crops from 1966 to 1971. 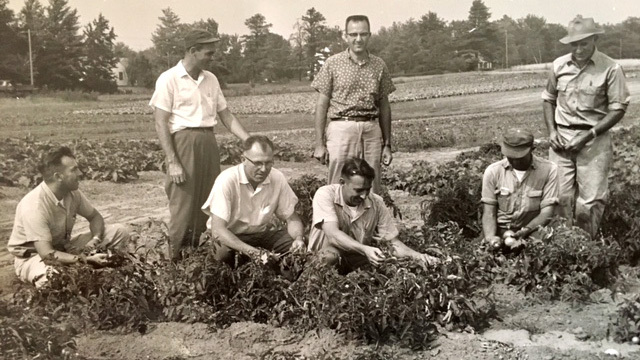 In 1972, Ed helped found the Asian Vegetable Research and Development Center in Taiwan where he served as deputy director for research until 1974, when he returned to Cornell to direct the International Agriculture Program in the College of Agriculture & Life Sciences. In 1977, he joined the newly established International Agricultural Development Service where he served as the project leader for a World Bank financed project to establish the Agency for Agricultural Research and Development in the Republic of Indonesia. In 1982, he returned to Cornell once again to resume his position as director of the International Agricultural Program, where he served until his retirement in 1992. “Ed was much appreciated for his energy, cheerful disposition, optimistic outlook, skillful human relations, and wise counsel,” said Elmer Ewing, professor emeritus of horticulture and veg crops. Oyer (standing, center) in the field. 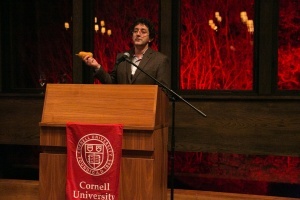 Michael Mazourek discusses his plant breeding work with the Honeynut squash during a event Nov. 19 at Stone Barns. Photo by Sirin Samman. Nearly 200 Cornellians were treated to a taste of collaboration between the College of Agriculture and Life Sciences (CALS), Stone Barns Center for Food and Agriculture, and Blue Hill restaurant on Nov. 19. The event, held at the Stone Barns Center for Food and Agriculture in Pocantico Hills, New York, showcased farm-to-table cuisine that incorporates ingredients bred by CALS plant breeding and genetics assistant professor Michael Mazourek. Mazourek is a leading innovator in the movement to breed better tasting vegetables that encourage people to eat more nutritious food. Since 2009, he has been collaborating with Blue Hill chef Dan Barber to create an array of healthy, innovative, and delectable dishes that are served at Blue Hill at Stone Barns, the much-lauded farm-to-table restaurant. The event, which was a joint effort between CALS and the Northeast Corridor Alumni Affairs and Development office, allowed guests to literally enjoy the fruit—and vegetables—of Barber and Mazourek’s labor. We invite you to take a few minutes to participate in a community art project. Come plant a bulb and a dream! There is power in making beauty and power in making beauty together. 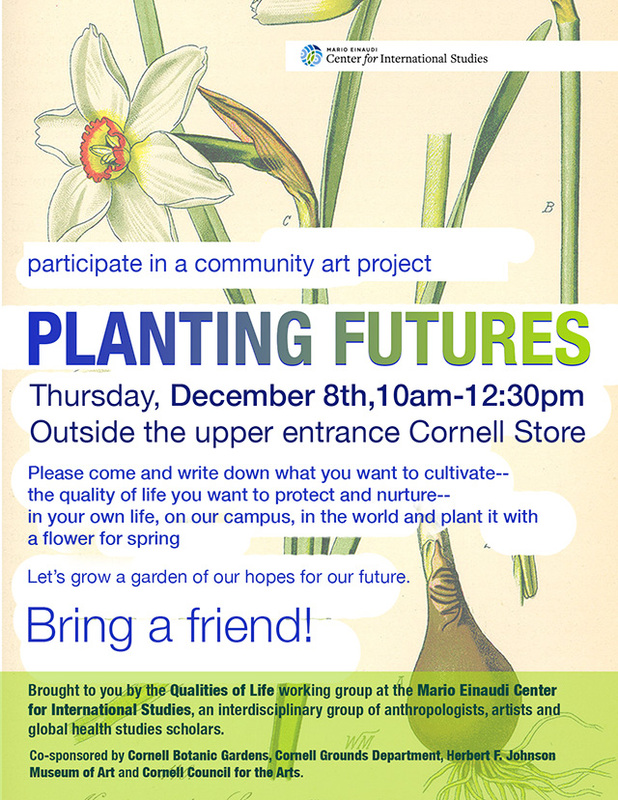 We welcome you to write down what you would like to cultivate–the quality of life you want to protect and nurture–in your own life, on our campus, in the world and plant it under one of the 1,600 bulbs waiting for you. 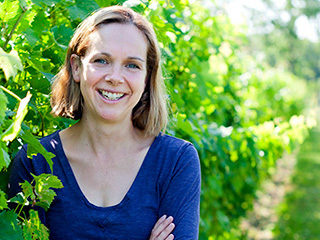 If you missed Monday’s Horticulture Section seminar and Dreer Award Presentation, The search for sour rot in Tasmanian vineyards with Megan Hall, PhD candidate, Graduate Field of Plant Pathology and Plant-Microbe Biology, Cornell University, it is available online. More information about the Dreer Award. President-elect Donald Trump’s plans to deport up to three million undocumented immigrants will make U.S-produced food and wine more expensive and less available. That’s the warning from Justine Vanden Heuvel, associate professor in the Horticulture Section at Cornell University, and Mary Jo Dudley, director of the Cornell Farmworker Program, in an article in The Conversation, an independent source of news and views from the academic and research community. “What he doesn’t seem to realize is how integral undocumented workers are to America’s food supply. Our scholarship at Cornell combined with research in other areas of agriculture reveal the significant impact his plans would have on the foods we eat and beverages we consume each and every day,” they write. “Since these immigrants do much of the heavy lifting in American agriculture, preserving the current workforce and ensuring a continuing supply of laborers is a top priority for producers – and should be for consumers who value the foods and beverages we currently enjoy on our dinner tables,” they add. The authors cite a report commissioned by the American Farm Bureau Federation predicting decreases of 15 to 31 percent in vegetable production and 30 to 61 percent in fruit production if undocumented workers are deported and the border is closed. The study also predicts food price increases of 5 to 6 percent and decreased availability of fruit, vegetables, meat and dairy products.